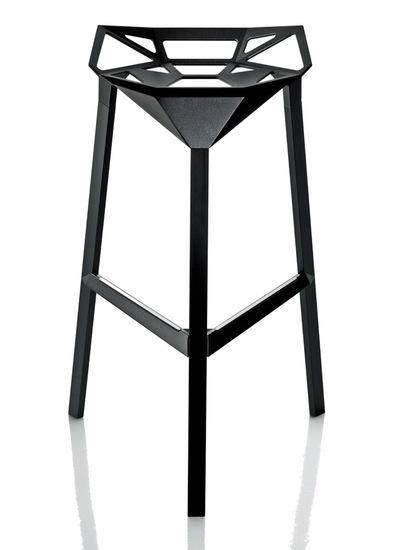 Gastro bar stool will add a geometric element to modern bars or countertops. The fully-assembled aluminum frame with black or white coating and non-marking feet is suitable for both indoor and outdoor use. 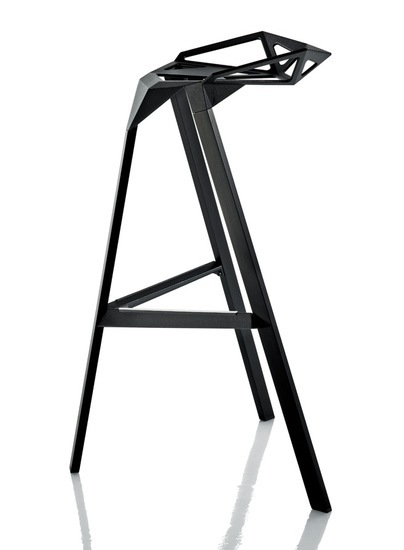 The seat of Gastro bar stool features a cut out pattern design that is surprisingly comfortable. 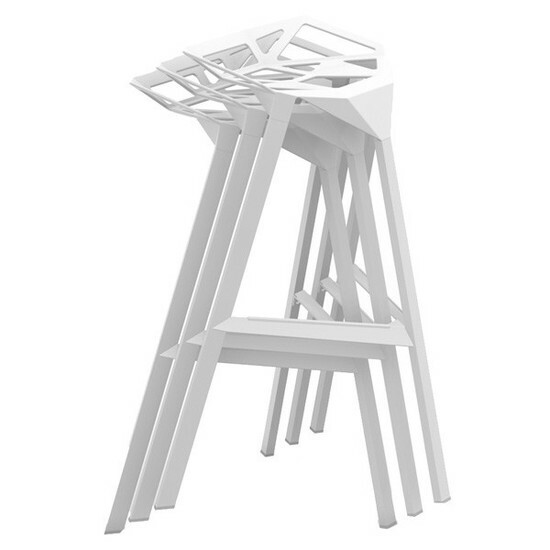 These aluminum bar stools are stackable, making it a great choice for a wide variety of settings, both indoors and outdoors. -- Please Choose an Option --	18"W x 21"D x 33"H: Seat Height 30"